Our elegant wall hanging gives moms another reason to feel blessed on Mother’s Day and every day. Inscription reads, “When we count our blessings we count you twice“. 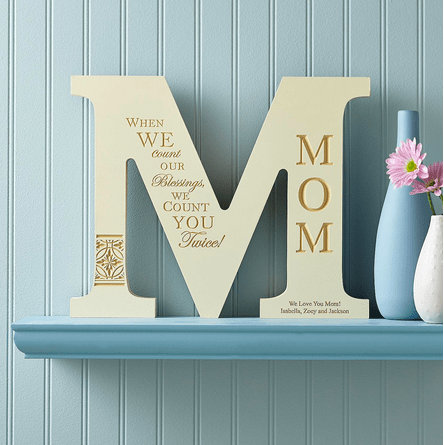 Add your own loving 2 line message to create a gift that Mom will treasure forever!